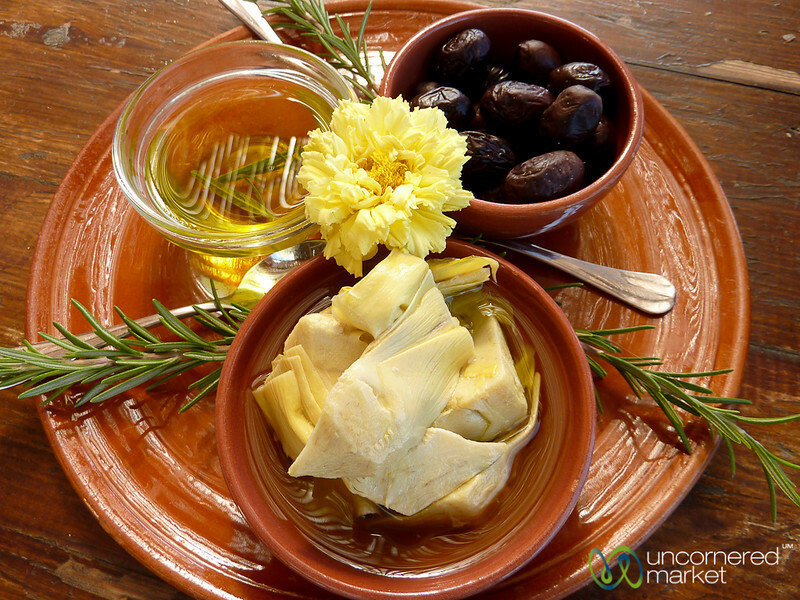 A starter dish of Cretan black olives, marinated artichoke hearts, and olive oil. Delicious!! Agreco Farm near Rethymnon, Crete.